And you get surprised when people call you green eyed buda? And what does Ugum shabo mean anyway? Where does ugum come from? Don't you love it when he posts something like this. I really enjoy it. He has miserable life. Do I have to educate you every single thing about the gullible shabo? Ugum comes from their agame tyrant, wedi komarit medhin berad. As for the gullibles who've been parading Hadish as their symbol while distancing themselves from the thousands fleeing their tyrants as "African migrants", well she's off to a good start. I'm sure 2019 will be a good year for the Eritrean people but not for Agame junta and the gullible diaspora. The border closure indicares something serious within the regime itself. ነገር እንዳ አጋመ:: ሰው እንዴት በስተርጂና በውሸት ይተረተራል?? On this new year day, I'm hereby presenting my new year gift to Adwash. 1. Dejazmatch Gugsa Mirtcha. m. Woizero Walatta Takla Haymanot (m.
a. H.E. Ras Haile Mariam Gugsa. Governor of Wadla 1878-1889, and C-in-C 1889. He was k-i-a at Mertemma, fighting against the Mahdists, 9th March 1889.
b. H.H. Ras Mangasha Yohannes, Prince of Tigray - see below. 2. Reese Masafint Kassa Mirtcha, who ascended the throne as H.M. Elect of God, Yohannes IV, King of Seyun, King of Kings of Ethiopia - see below. 3. Dejazmatch Maru Mirtcha. He had issue:a. Dejazmatch Hadgu Maru. a. Woizero Aberash Hagos. m. and left issue, including six grandchildren. 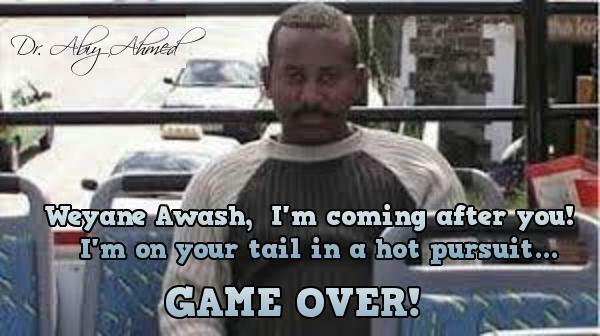 As we see Lij Hagos Mircha only had 2 daughters, and he had no son called Abraha ...Thus successfully making Adwash's claims about the ancestry of PIA a complete trash - period! "African migrants", as the gullible ugum shabo diaspora dismisses the Real Eritreans who perished fleeing from Agame deqi komarit tyrants. Just listen to Issu's cousin. The gullible ugum shabo diaspora insist these are "African migrants" and not Eritreans who fled the tyrannical Agame junta. Meanwhile, Tiffany Hadish is considered Eritreanby these gullibles. This game is still on. Your Agame junta is at each other's throats. They are so worried they closed the border. Who's next to be butchered? The hunting period of the Qemalmouch is about to commence, hence i urge your arse to concentrate on the matter which is dear to your arse. 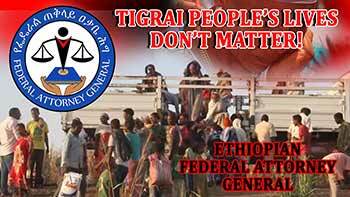 Tigrians were Milking Emama Ethiopia Dry Now it is time to caugh it..
Do you know what closing border signifies? Coup d'etat. 2019 is off to a good start. If 2018 was bad year for the Qemalmouch, 2019 is going to be worse Our Gondere bodies not to mention, people of Bahri Dar karabashed the Qemalmouch and send them to their Dry land empty handed Now which city is in line to take over the torcha and Karabash the qemalmouch? Where is the justice? Where is the federal Attorney? Dedebit graduate......This is 2018. And this is called poetic justice! Listen to what MerejaTV says about the Agame tyrant. We all know that Eritrean's have been a subject of horror for the longest. And now, thousands of Eritrean's are unwillingly held and detained in Libya. Some are detained underground where they have not been able to see daylight, many are killed, raped, starved. Because it is known that the IOM is working to help solve this problem in Libya, lets all sign this petition to show our solidarity and perhaps the IOM will feel the pressure and do something.